This is the most recent information about Four Aces that has been submitted to amIright. If we have more information about Four Aces, then we provide a link to the section where it appears (the actual page whenever possible). "Three Cons In The Fountain" originally "Three Coins In The Fountain"
"If You Can Ream" originally "If You Can Dream"
"Three Colins In The Fountain" originally "Three Coins In The Fountain"
3 guys named Colin? What a coincidence! "If You Can Dread" originally "If You Can Dream"
"If You Can Cream" originally "If You Can Dream"
"Two Little Misses" originally "Two Little Kisses"
"Too Little Kisses" originally "Two Little Kisses"
"Love Is A Many Splendored Thong" originally "Love Is A Many Splendored Thing"
There are additional Four Aces Combined Groups that haven't been done yet available. "Love Is A Many-Spendored Thing"
Written on the wind, written on the wind. A faithless lover's kiss is written on the wind. 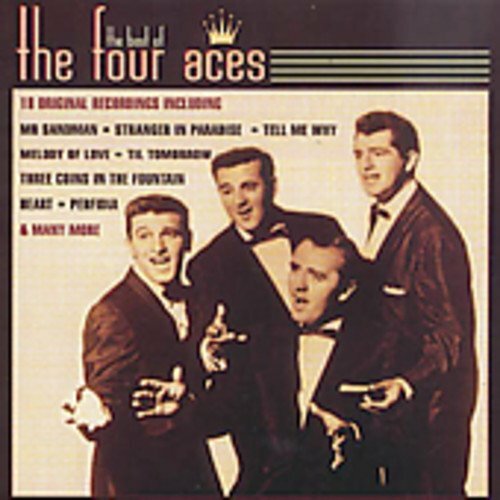 "Love Is A Many Splendored Thing" from the movie of the same title was the only #1 song, in 1957, for the four man Philadelphia vocal group known as the Four Aces. 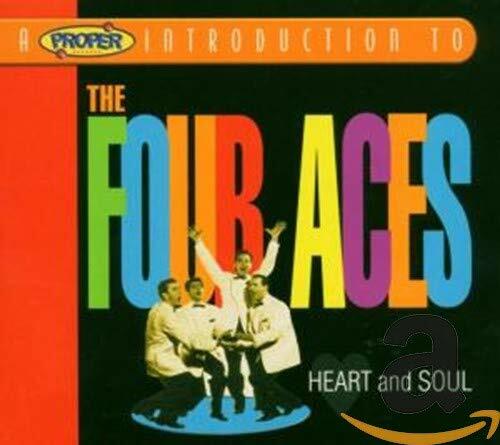 "The Gal With The Yaller Shoes"
OTIS: "Of This I'm Sure"
The Air Forces originally "The Four Aces"
The Oar Faces originally "The Four Aces"
An old pop quartet of the 50s.